Housing affordability posted a modest improvement in the fourth quarter of 2013, but a big picture view of the Canadian market sees affordability on the national level little changed since 2010. RBC’s new Housing Trends and Affordability report found that while home ownership costs rose slightly in the fourth quarter, homebuyers didn’t need to allocate as much of their income to purchase a home as a result of the strength of income gains. “Household income outpaced the rise in mortgage carrying costs, which was kept at bay by fairly tame property appreciation in most markets around the country and marginal mortgage rate advances,” wrote the report’s authors, economists Craig Wright and Robert Hogue. RBC’s affordability measures edged lower for all property types surveyed across Canada, with the measures for both detached bungalows and two-storey homes decreasing by 0.2 per cent and the measure for condominium affordability decreasing by 0.1 per cent. A decline in RBC’s measure means affordability improved. In the report, Wright and Hogue said the sideways trend in Canadian housing affordability persisted through 2013, leaving the affordability picture “little changed” from 2012. The economists traced the sideways trend back even further to 2010, when periods of slight improvements in affordability followed by periods of mild deterioration became the norm. The results from the fourth quarter of 2013 represent a continuation of this trend as affordability moderately deteriorated in the second and third quarter of 2013. “The more recent affordability position is neither better nor worse than it has been since 2010,” wrote Wright and Hogue. On the national level, the report concluded that rising interest rates could erode affordability later in 2014 in several markets across the country. Forecasts call for house prices to rise only modestly and the Bank of Canada is expected to leave the overnight rate as is in 2014. However, RBC believes that bond yields, the primary driver of fixed mortgage rates, will continue to rise in 2014 and take rates along for the climb. Zeroing in on Canada’s major markets, the report found that Toronto was the only market in the country that saw a mild across-the-board deterioration in affordability in the fourth quarter. “Affordability of two-storey homes and bungalows in the Toronto area now appears to be stretched, as it is noticeably worse than historical norms for both categories,” said the report’s authors. The affordability picture looked better for condominiums in Canada’s largest city, but Wright and Hogue said it’s still stretched relative to historic norms. 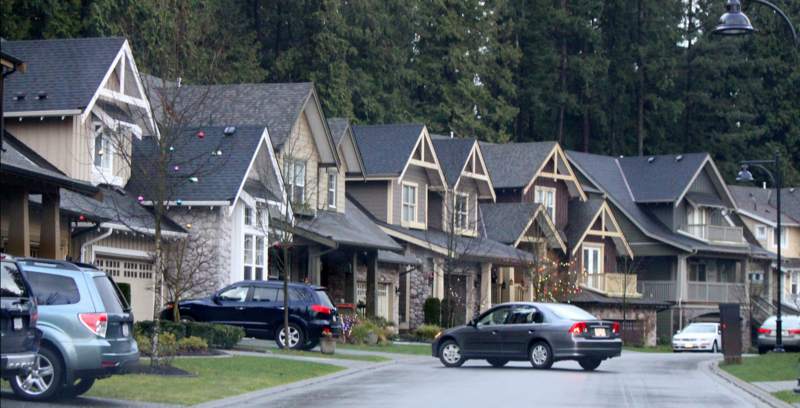 Over in Vancouver, affordability levels are still poor but improved in the fourth quarter. The affordability measure fell the most (remember, that’s a good thing) for bungalows, followed by two-storey homes and condominiums. Calgary’s affordability levels remain attractive and demand for housing is supported by a booming provincial economy, population growth and a hot labour market. Affordability marginally improved for two-storey homes and bungalows while condominiums saw affordability take a slight hit. While Montreal’s housing market rebound hit a snag, RBC did not consider affordability to be an obstacle to homeownership in the fourth quarter. In Ottawa, market activity weakened in the fourth quarter and buyers have been able to use their increased negotiating power to drive house prices down. As a result, affordability has improved in the nation’s capital.